Journey to the heart and soul of the American South aboard a traditional paddle wheeler as you voyage from spirited New Orleans to antebellum Natchez and lively Memphis. Save up to $250 per person when you book by May 10, 2019! *Single pricing and savings available, please call 855-330-1542 for more information. Experience the spirit, grandeur, and tradition of cruising the Mississippi River aboard a nostalgic riverboat as you make the journey between spirited New Orleans and lively Memphis. 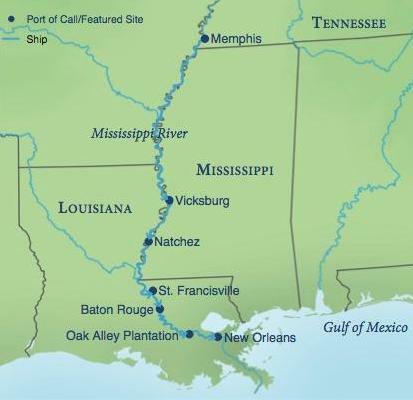 Journey to the heart and soul of America aboard our paddle wheeler, America or Queen of the Mississippi and learn about the Mississippi’s enormous influence on American history and culture. New Orleans: Enjoy a hotel overnight followed by a specially arranged walking tour of the historic French Quarter. Mississippi Paddle Wheeler: Feel the spirit and tradition of cruising this historic river, savor the finest in southern cuisine, and listen to traditional music all the way to Memphis. Plantations: Step ashore to visit Oak Alley, one of the South’s most legendary plantations. Wildlife: Join a specially arranged boat tour to explore the Atchafalaya Basin, the largest river swamp in the U.S. Historic Towns: Visit St. Francisville, full of unique treasures and plantations. Tour legendary towns such as Natchez, the “Golden City of the South” with its 500 stately antebellum homes. Civil War Sites: Enjoy in-depth discussions about the civil war along the western frontier with your expert, then explore noted sites including the national military park at Vicksburg. Memphis: Enjoy a specially arranged tour of Memphis and a visit to the National Civil Rights Museum. Queen of the Mississippi and America: The Queen of the Mississippi (May 17, 2019 departure) made its debut on the Mississippi River in summer 2015. The 150-guest paddle wheeler features Victorian-influenced design elements reminiscent of an earlier time on the river. The America ship (November 8, 2019 departure) embodies a casual ambiance and relaxed atmosphere while providing panoramic views of the passing scenery. With only 185 guests, fellow passengers will quickly become new friends. See more information about these ships on the Tour Details page. Each voyage will also host other leading cultural and educational institutions, which will add to the excitement and energy of the experience. Depart from your gateway city to New Orleans. Upon arrival at Louis Armstrong International Airport, transfer to the InterContinental Hotel where overnight accommodations have been reserved. The balance of the day is free to explore on your own. A full American-style buffet breakfast will be served at the hotel today and aboard ship each day during your cruise. Begin exploring on a guided walking tour of the New Orleans’ French Quarter. See famous attractions like Bourbon Street, Jackson Square, and St. Louis Cathedral. 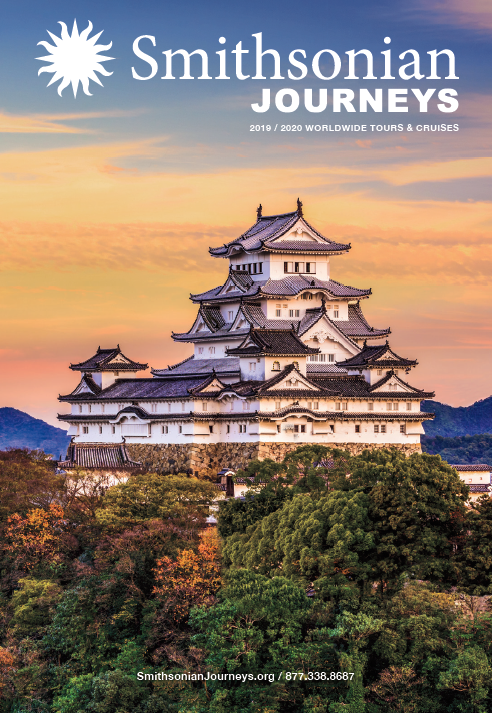 Learn about the area’s writers and artists from your guide while strolling through historic streets and discovering hidden courtyards. *Please note: The May 17th departure will be operated aboard the Queen of the Mississippi. The November 8th departure will operate aboard the America. Today, you’ll explore the diverse natural beauty and rich ecological systems of America’s largest and most complex wetland. Cruise through the open waters of the Atchafalaya Basin as a native guide discusses the abundant plant and wildlife indigenous to the area, that is the largest river swamp in the U.S. Learn about the locals living on houseboats and how they have protected this land over the years. Onboard experts offer many stories about southern life on a plantation; today will reveal what life was really like with a visit to Frogmore Plantation. An insightful local guide will accompany you from the ship to the cotton gin and will be with you as you explore the 1,800-acre cotton plantation. Plantation owners Lynette and Buddy Tanner will talk about plantation life, including the housing, music, and relationships between the owners and workers. After a hearty southern breakfast, you will be greeted by your private tour guide who will stay with you throughout the day. Upon arrival at the park, rangers who are well-versed in Civil War history guide you on a customized tour that is specific to the interests of the group. The city of Memphis has a deep-rooted history which spans many of the most important aspects of American cultural life. This comprehensive tour starts onboard with an authentic Memphis BBQ before your tour guide meets and your journey through Memphis begins.